Armed with a new-to-me bundle of scraps I sat down on Wednesday night and made a tote bag. I didn't need a bag, but I needed to sew. It was one of those days where I was feeling restless. 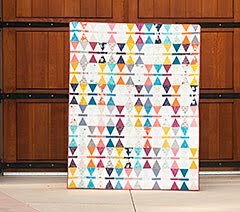 The new quilt pattern I've been working on was not cooperating. Have you ever heard the term, "you bit off more than you can chew"? Yeah, I think I tried to eat the whole buffet. One of the best things about sewing, especially repetitive sewing, is that it frees my mind to think. I needed time to think about the pattern, work out the problems and see things differently. I knew that whatever project I picked to work on required a repetitive element. I also needed it to be small, satisfying and playful. I know that is a lot to ask. 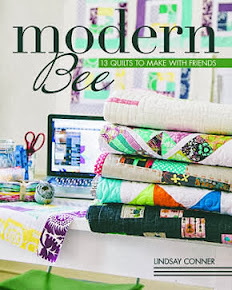 Does that sewing project exist? 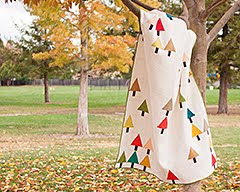 It turns out it does, The Perfect Quilted Tote pattern by Elizabeth Hartman was all of those things. 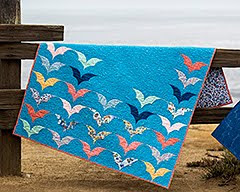 The quilt as you go method is awesome! Deliberately choosing and placing each scrap satisfied the creative and controlling side of my brain (also known as my left side). 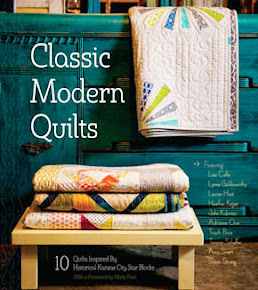 And the dense quilting and ironing satisfied the restless side of my brain that needed soothing (also known as my right side). Since there was a lot going on in my head already, I left out the fussy lining with inset zippers and opted instead for a plain lining made with pretty fabric. Oh Anna Maria Horner, you make my heart beat so!! This tote was so fun to make I plan on making lots of them and maybe next time I will tackle that inset zipper. As for my own pattern, I'm still working on it, but this time refreshed. 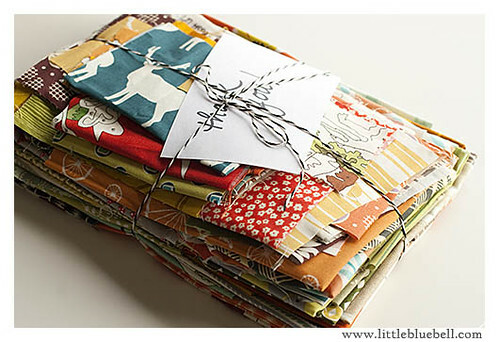 The bundle of scraps ( any bundle, really) look very appealing. Sewing is sometimes the best therapy/meditation! The bag looks amazing! Sound like you found some clarity on your pattern in the process. Yay! 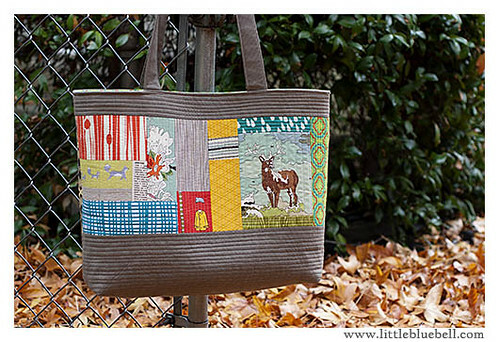 A cute tote bag, just right to get your mind free (yes, sewing can be relaxing ;) )You have funny scraps! Love how it turned out. The fabric you used it just perfect for this tote. wow, it's fantastic. Hope things will calm down and you will be able to see what needs to be done with fresh eyes soon. Perfect solution to satisfy both sides of the brain and with such pretty results. love it! 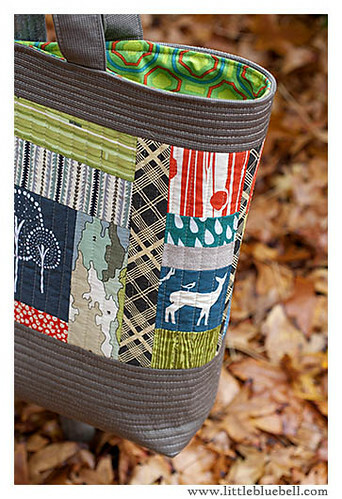 I just finished a tote today today with a little quilt-as-you-go. Now just have to get the pictures up... that should only take another 2 weeks. :) Your brain calming turned out beautiful. I usually just find something to eat instead. It's funny how our hobbies can sometimes create more stress for ourselves. I tend to obsess over making projects perfect so it's nice to step back and make something quick and loose to free up your mind. So pretty Miss! PS. The books showed up the day after you left so let me know when you want me to get them back to you. Yes, I know exactly what you mean. I love that de-stressing effect of repetitive mindless sewing. Lately I have been feeling like I should be working on more complex projects but actually there's nothing wrong with simple sewing - thanks for the reminder! 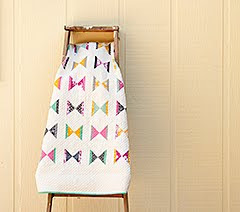 looks really great...i also did some therapeutic sewing this weekend...just sewing not thinking...best thing ever. Boy I hear you. When there's a problem with one project it helps so much to set it aside and work on something else for a bit while my brain does some subconscious fixing of problems.